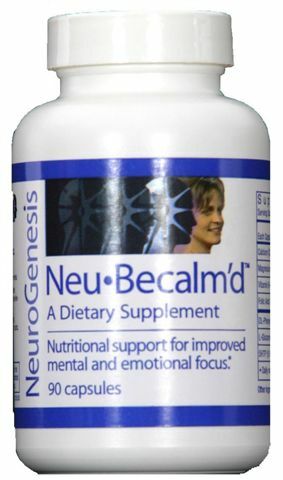 4 Bottles of Neu-BeCalm'd at the One Time Preferred Price of $151.00 plus S&H. No Autoship. Neu-BeCALM'd chewable tablets are formulated at approximately one half the typical capsule strength. Post respective reports from users have confirmed that this dose appears equivalent and adequate, probably due to sub-lingual absorption of the active ingredients. 4 Bottles of Neu-BeCalm'd Chewables at the One Time Preferred Price of $144.00 plus S&H. No Autoship. 6 Bottles of Neu-BeCalm'd Chewables at the One Time Preferred Price of $216.00 - Free Shipping. 4 Bottles of Neu-Relieve at the One Time Preferred Price of $138.00 plus S&H. No Autoship. 4 Bottles of Neu-Recover at the One Time Preferred Price of $151.00 plus S&H. No Autoship. 4 Bottles of Neu-Replenish at the One Time Preferred Price of $151.00 plus S&H. No Autoship. 4 Bottles of Neu-Slim at the One Time Preferred Price of $155.00 plus S&H. No Autoship. 6 Bottles of Neu-Slim at the One Time Preferred Price of $232.50 - Free Shipping.